Is every tree break in the woods done by Bigfoot? Probably not. There are many natural causes for tree breaks—wind, snow, and animals, to name a few. But there are also tree breaks that don't always appear to be done by mother nature, and these are the ones that often garner the attention of Bigfoot researchers. 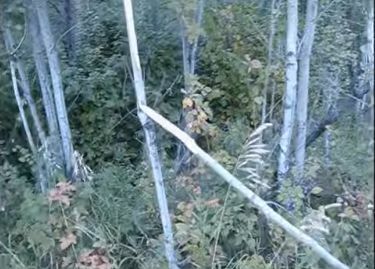 In this video a man from central Alberta, Canada shows some tree breaks that he thinks were made by Sasquatch. He also talks about some tree-knocking that him and his friends heard in the same area while out camping. This was filmed on September 8, 2014 near Big Lake in Alberta. "Wherever there's good food sources, they're breaking these trees."